Elena Demos' life has been turned upside down. Her mother has passed away, leaving Elena and her two half-sisters to deal with their mother's will and the crazy stipulations it contains. For the three sisters to inherit the substantial amount of money left behind, they have to go to work with two aunts they've never met in a family business - Amazons Inc. - they know nothing about. If that isn't bad enough, Elena runs into the man who once broke her heart, and it's only their first day on the job. I often wondered if vengeance came with a price. I never cared, not after the torture I've endured. For me, vengeance is best served through the eyes of my scope. The twitch of my finger. The pull of a trigger. The death of someone who deserves to die. Revenge, retribution, and retaliation are all that comes to mind. Cruel and brutal punishment for the hell inflicted on my family is all I’ve ever been able to think about. The betrayal fresh in mind years later, reminding me of the day my world came crashing down. Carrie just graduated from law school. She never thought it would be the worst day of her life. A sudden tragedy puts a heavy duty on her shoulders, and with no other option she goes to work for the Mafia. And not just any Mafia family: the Gallo clan. Freakish bear shifters. Buttoned-down good girl Carrie is walking into the bear's den - literally. But the six-foot-tall bad boy looking down at her is not what she expected. His golden eyes slide over her body, blazing as he senses her fear and...excitement. Gino just got out of prison. He thought he'd done enough time for his clan. He was wrong. Some rat put dirt on him and cost him five years of his life, but he kept his mouth shut and did his time. Now all he wants is to go straight and live a civilian life, but his clan won't let him. Gino's primal needs were unfulfilled for so long that he's barely able to contain his inner bear when quiet little Carrie walks into his office. One whiff of her scent and he knows he has to have her. Will he claim her and make her his, even if it means he can never leave the life? This stand-alone novel has a HEA and absolutely no cheating and no cliff-hangers. I fell in love with Carrie and Gino's story. Both are made to make decisions they never anticipated being faced with. Together they overcome dire circumstances that make them stronger as individuals as well as couple. Carrie just finished law school, has the opportunity for a great first job and then her father dies during her graduation and she must financially care for her challenged brother. She loses her great job and finds out there is a quick yet dangerous way to make good money..lawyer for the shifter mafia. Gino is a shifter just getting out of prison, trapped into serving time, and has his arm twisted to lead the shifter family when his brother can no long shift. Carrie and Gino meet..he recognizes her, eventually, as ‘his,’ and so the challenge of Carries brother, head of the shifter family Gino never wanted to be, intrigue, mystery and mafia. An interesting and entertaining story..not incredible but able to keep your attention. The narrator started out ok but seemed deteriorate as the story continued. 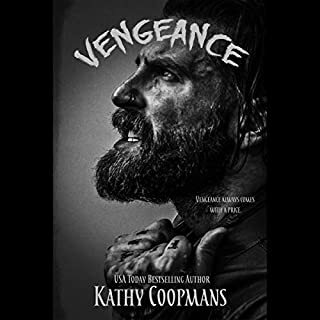 The voices were too extreme and sometimes made it difficult to listen to...think i would have enjoyed reading ...but if you like this narrator it would get more stars. 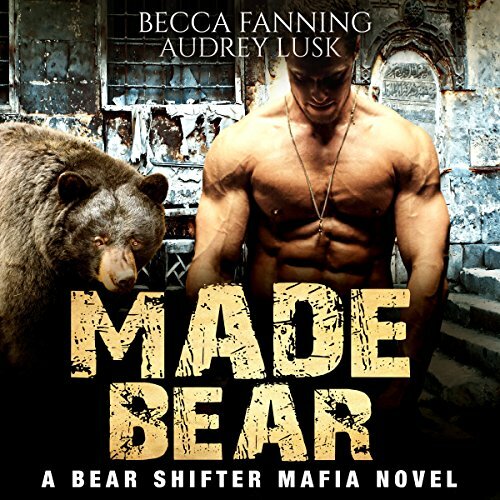 Made Bear by Becca Fanning was a great read. Carrie just graduated from law school when her entire life changes. Caught in a tough spot she goes to Gino for a job. I loved reading Gino and Carrie's story. Loved this story and the characters. Plenty of action and romance, Gino and Carrie have quite the story. Fantastic narrator, she really captured the emotion of the characters and had a unique voice for each character. I received a free review copy of this audiobook at my request and I have voluntarily left this review. 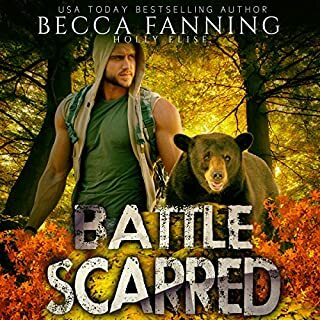 I really enjoyed this bear shifter romance. There was a lot I liked about this one and the narration was fantastic! An exciting story, I was so unsure at the start. Carrie was not an immediate love for me. I had to give her a minute, but I am so impressed with the strong, smart woman she is. Gino quickly snuck into my heart. despite their different personalities, both of them are such good people, and Carrie's brother River is a sweetheart. I don't want to spoil a bit of this book, so that's all I'll really say about the characters. The writing is strong and plot is very unexpected. This is a voluntary review of a gifted copy of the audiobook. If you enjoy love at first site books then this one is a good choice. I like the more back and forth of a romance so I didn't like this book as much. I expected more. The narration was well done, but she ended up giving the main female character a bit of a whine that got annoying, and she could have made the male character more confident. I enjoyed listening to this book and listening to the narrator. The story keeps your interest and the narrator is very good. "I was given this free review copy audiobook at my request and have voluntarily left this review."